Particulare description de Falndres from : S’Ensuyt le povrtraict et description de Falndres. 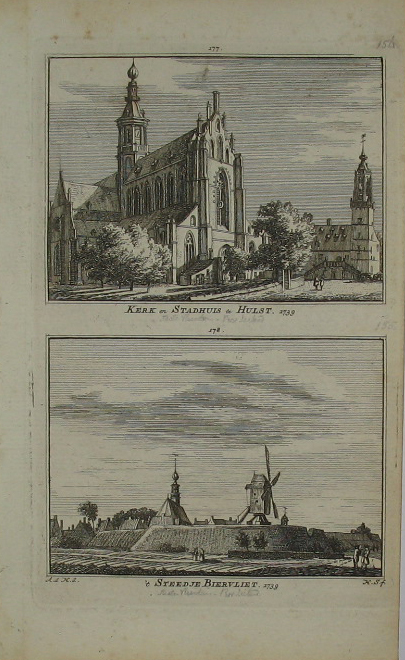 This woodblock print is the second edition which was printed by Silvus in 1567 and 1568. 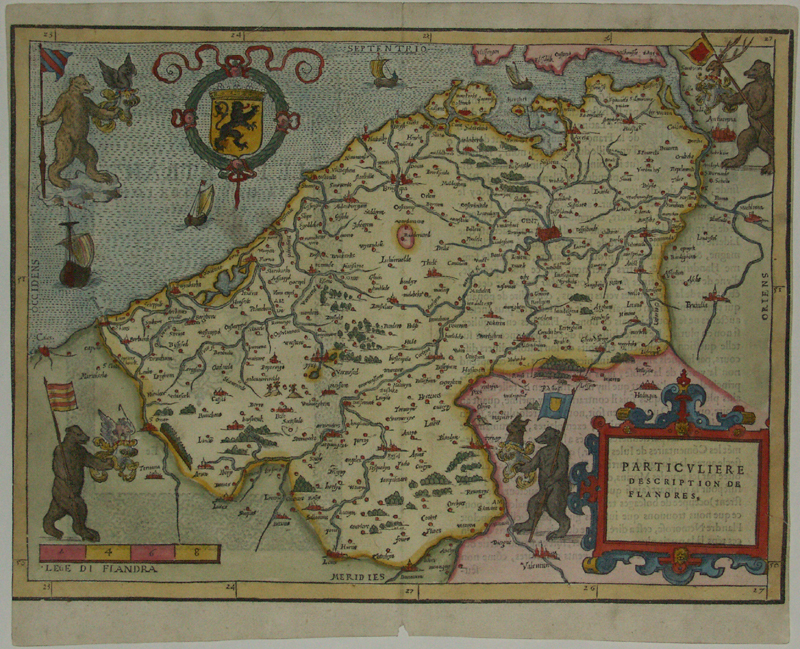 The composition with the four bears in each corner, is most probably inspired on basis of the maps by Pieter van der Beke (1538) and Mercator (presumably 1540) Verso French text .